Pawn shops do not only buy personal merchandise. The shops provide a nice way to acquire quick cash for those who cannot procure a loan elsewhere. Whether pawning or selling, a customer does need to know what his/her merchandise is worth. It is not the pawn shop owner’s job to tell a customer what something is worth. Knowing the realistic value of the item is necessary to properly haggle a reasonable figure from the pawn shop proprietor. Do not expect to get the full value of something either. The pawn shop has to keep an eye on reselling the merchandise. People who buy things at a pawn shop want deals. The shop owner has to make a profit so he/she greatly marks down the value of the item when issuing money. Accepting this fact of pawn shop operations is a must prior to walking through such an establishment’s doors. After pawning something, be sure to know the rules about being unable to make a full payment on time. Missing the due date means the item goes on sale. 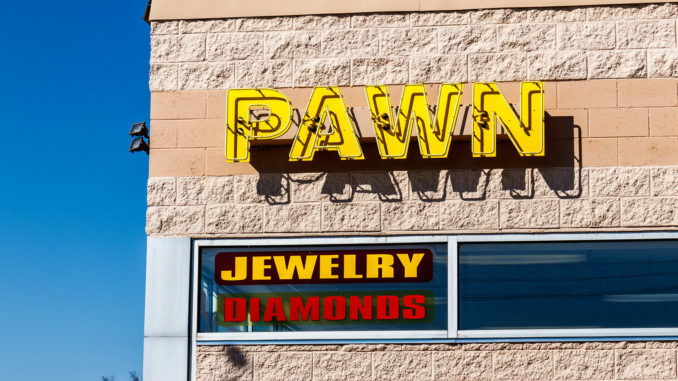 Usually, a pawn shop will allow for making a partial payment to extend the due date. Don’t fall behind or fail to learn the details of repayment. Otherwise, the merchandise is going to end up on the floor.